For a film exploring the sense of isolation created by an ever “connected” world, it probably wouldn't be much of a risk to employ a musician whose most successful work focuses on, among other things, isolation. Less of a risk still to actually use some excerpts from said critically acclaimed and popular album about isolation in said film about isolation which no doubt hopes to be both critically acclaimed and popular. After your mind’s tongue has untied itself from the previous sentence, it should not be a great effort to imagine the film and soundtrack working together rather nicely. Sadly, however, the soundtrack could be seen to be a little wanting in isolation. Within the film, I don’t know - it isn't out yet. It’s almost surprising how different the old snippets sound outside to moody confines of The Blue Notebooks. “On the Nature of Daylight,” for instance, feels a little naked without Tilda Swinton’s introduction, or the dark, thoughtful blanket the tone of The Blue Notebooks provides. 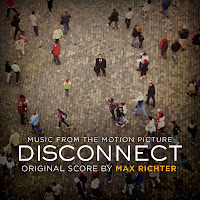 Disconnect offers very little protection in this regard -the focus is the film, after all; not the orchestral beast stirring behind it- and Max’s steady classical artworks do seem a little antique next to the remainder of the soundtrack. For his new pieces, Max has shut the lid on his piano and put down the strings in order to sit in front of a computer. This is a significant step for the previously orchestral-centred composer, yet aside from the supposedly intended irony of the move clashing with Disconnect’s message of putting down the keyboard, it’s a surprisingly smooth transition. Stylistically he keeps rigidly to his calm and minimalist dogma, except now he has a myriad new textures to play with, a new echo effect and is no longer limited by mankind’s inability to perfectly hold the same note forever. When he chooses to use a series of fast and abrupt notes they bleed together like chimes: even when Max wants to instill a sense of urgency it’s oddly serene. It's still the same old Richter. It’s clear he has had a lot of fun in his new electronic playground, as in the 21 pieces we rarely hear any repetition of ideas. That is unless he chooses to subtly adapt “On the Nature of Daylight” into a two minute ending statement titled “The Swimmer.” From quiet bass kicks and electronic ambiance to swirling organs and heartbroken vocals, Disconnect is a soundtrack bent on keeping its listeners guessing. Oddly enough, for Richter, a few of the tracks move further into expressive emotion than his previous works would lead us to expect. It's very much like breaking into the sunlight after being completely immersed in Richter's contemplative pool: a bit of a shock but welcome nonetheless. Despite these additions -which were no doubt a necessity of the film- the overall tone still remains pleasantly subdued. 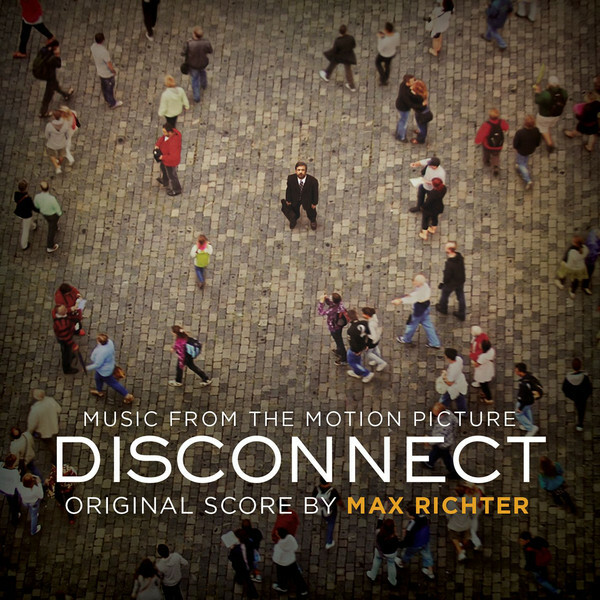 In the end, Disconnect is a soundtrack before an album: there’s no real focus, the tracks are too short and there are too damn many of them, but it’s just such a joy seeing one of the most celebrated contemporary composers try his hand at so many new styles. Even when he isn’t the focus Max can still stupefy you into thoughtful silence, and that’s why his more experimental and muddled releases still manage to be absolutely fantastic.